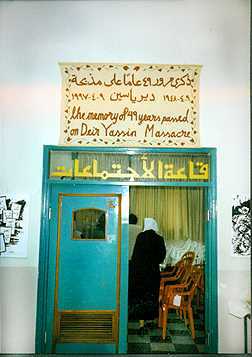 A Conference to Commemorate the 49th Anniversary of the Massacre at Deir Yassin The conference was held on April 9th in El Birieh, near Ramallah. 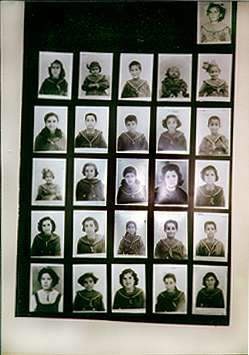 The purpose was to commemorate the 49th anniversary of the massacre of Palestinians at Deir Yassin by the terrorist groups, the Irgun and the Stern Gang, and the subsequent depopulation and ethnic cleansing of over 400 Arab villages and cities. In spite of the freezing weather, about 300 people attended to hear six presentations and a survivor's account of the massacre. 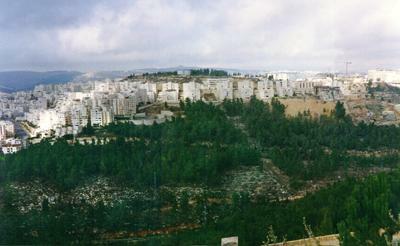 Many people came from Jerusalem, including several Israelis. Radio commentator, Yousef Kazzaz, chaired the conference and opening remarks were made by Faisal Husseini. There was considerable press coverage, including radio, TV, and half-page stories in Al Quds and Al Ayyam. 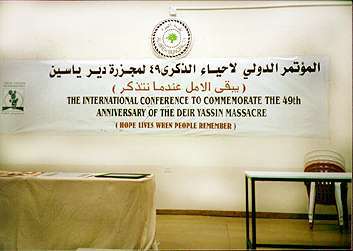 Papers were presented by Saleh Abdel Jawad, Marc Ellis, and Daniel McGowan, all members of the Board of Advisers of Deir Yassin Remembered. The conference was coordinated by Sahar Ghosheh and Khairieh Abu Shusheh. 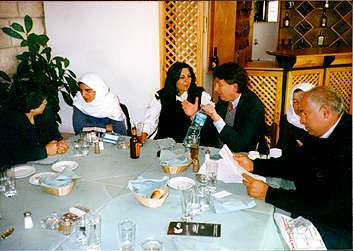 The 50th anniversary conference is scheduled to be held on April 9, 1998 in Jerusalem. 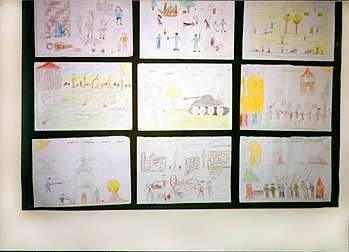 Pictures of the children made orphans by the massacre.